With a name like Loveland and a zip code in Colorful Colorado, anytime is a sweet time to visit. But why not travel during February and celebrate Valentine’s Day in the nation’s Sweetheart City and take advantage of these seasonal packages? 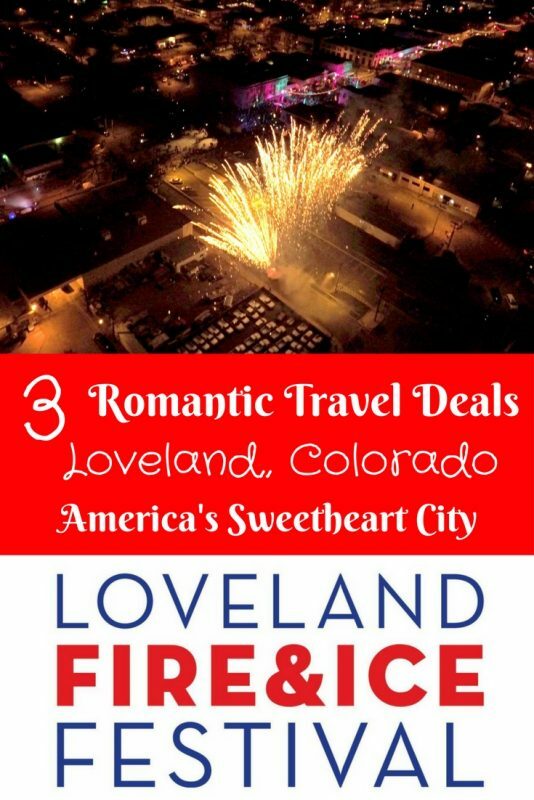 Read on for romantic travel deals to Loveland, Colorado. Winter fun turns into a romantic getaway when visiting Loveland in February for Valentine’s Day in the nation’s Sweetheart City, just 45 minutes north of Denver, Colorado. Loveland earned the Sweetheart City designation because of its international recognition for the 72-year-old Valentine Re-Mailing Program that sends love across the world. The city has grown to be a hot spot for Valentine’s Day activities in the last five years. From a fireplace cabin at a guest ranch to hotel packages, we’ve got the scoop on 3 romantic travel deals to Loveland, Colorado in February. 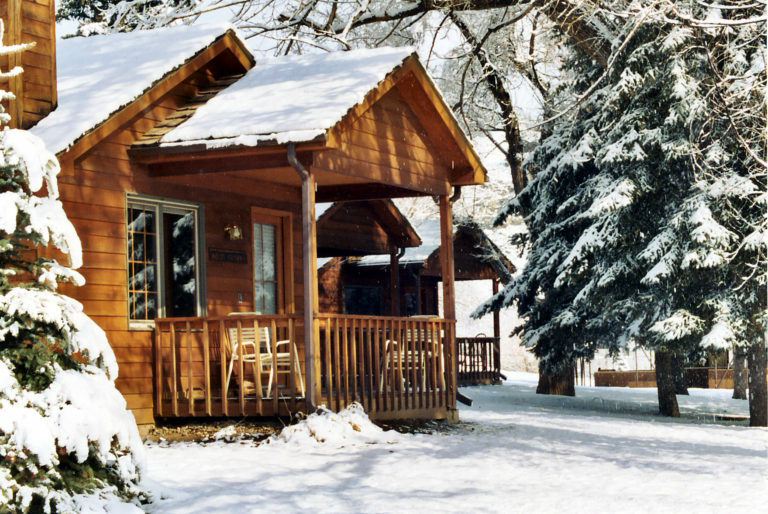 Surprise your sweetheart with a stay in a cozy fireplace cabin at Sylvan Dale Guest Ranch. Enjoy a private dinner for two, and a hearty ranch-style breakfast the next morning! two-night Sweetheart Get Away package for $261 per couple including lodging, a plated dinner, a bottle of wine, dessert and then breakfast the following morning. Start with a Sweetheart Deal of $99/night at Hampton Inn and Fairfield Inn & Suites and $129/night at Residence Inn is available from Stonebridge Properties. The Valentine Group Wedding package includes a bottle of wine from Sweetheart Winery and two glasses. The Embassy Suites Loveland is offering discounted room rates of $109 for the Valentine’s Day Group Wedding. To make a reservation, please reference Valentine’s Day In Loveland Wedding Room Block and book before Feb. 11, 2018. A Sweetheart Deal of $99/night at Hampton Inn and Fairfield Inn & Suites and $129/night at Residence Inn runs Feb. 9-10. 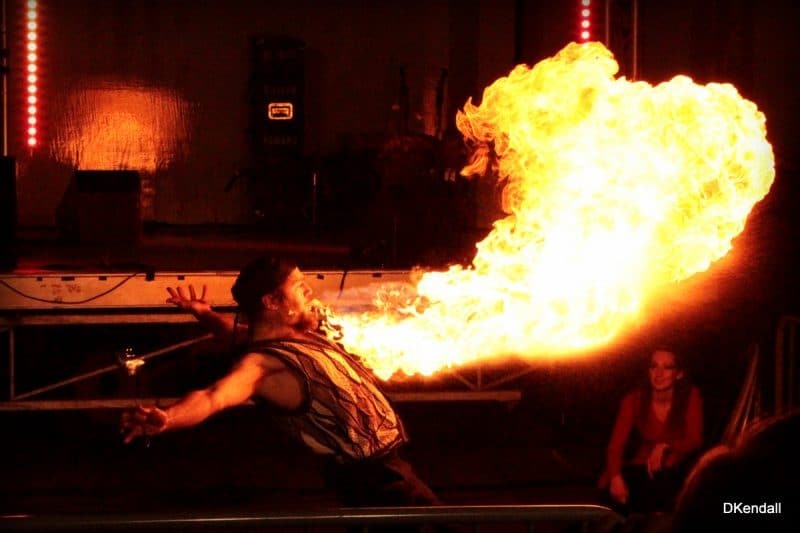 The Embassy Suites Loveland is offering discounted room rates of $119.00 for the Fire and Ice Festival. To make a reservation, please reference Fire and Ice Festival – Loveland and book before Feb. 1, 2018. Plan your Valentine’s Day in Loveland and access hotel packages at visitlovelandco.com/ValentinesDayinLoveland. Can’t travel to Loveland this year? Another way to process your love is by sending a valentine. The official Loveland Valentine is available for purchase online and can be customized and sent directly through the 72nd Valentine Re-Mailing Program, the largest of its kind. Photos and videos courtesy of Aronn Williamson, Ken Tasi, Simply Awesome Photography, Joshua Hardin (Colorado Life Magazine), Sugar Mill Photography, Derek Kendall, Chelsea Dodge and Danny Dodge.